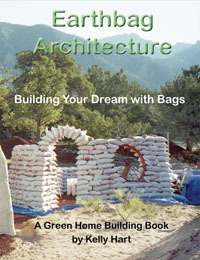 10 meters (33’) diameter is the maximum size of a round earthbag structure before needing buttressing. This design features two large bedrooms with spacious closets, efficient kitchen and loft for home office or 3rd bedroom. The inner circular wall is built of recycled brick for strength and rustic effect. 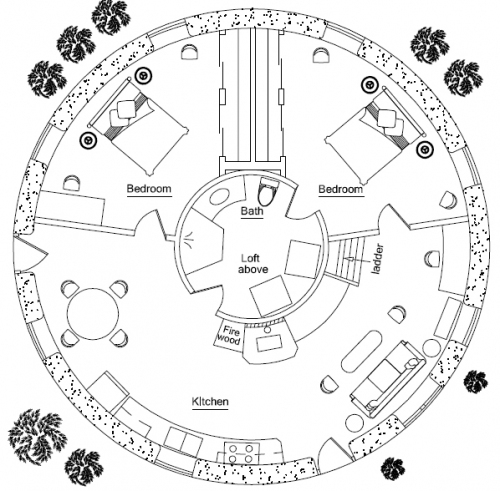 The loft has a 3' circular skylight and a knee wall with view to main living space on first floor. 855 sq. ft. interior plus 91 sq. 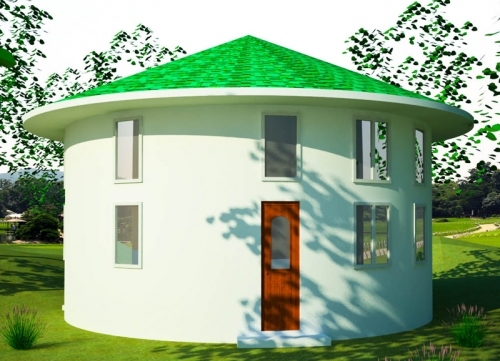 ft. loft; 2 bedroom, 1 bath with laundry; footprint: 36' diameter.